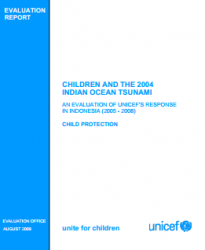 Three years after the tsunami, UNICEF commissioned an evaluation of the impact of the response for children in Indonesia. 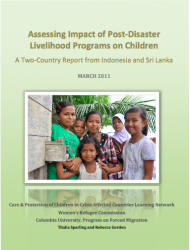 This report lays out the methodology, results, and recommendations from the evaluation. 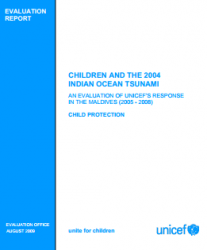 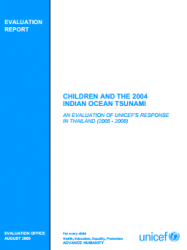 This report describes two studies undertaken simultaneously in Indonesia and Sri Lanka to assess the relationship between child wellness and livelihoods programs implemented by Save the Children in the tsunami-affected regions.